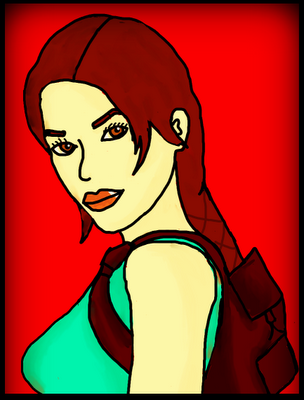 8-Bit Girl: I Drew Lara Croft! Tonight I decided to get out my drawing tablet for the first time in almost a year and a half. I've not even been doodling really in all this time! As a lot of you like your art features here on the blog, I decided to share my latest picture. I'm not the greatest at drawing, but feel free to check out my deviantART page for my previous efforts (I like my photography more!). That came out pretty nice!